The Passaic County Sheriff’s Office confiscated a shopping bag containing 353 glassine envelopes of heroin, 101 plastic crack cocaine capsules, and a Luger Tec-9 with an extended magazine on 12th Avenue early Wednesday morning. Passaic County Sheriff Richard Berdnik said officers responded to an anonymous tip informing them several gang members had gathered and were engaging in illegal activity outside of 41 12th Avenue. Officers saw several men congregating in the area at around 4:10 a.m. No one was arrested. “The matter is still under investigation,” Berdnik said. Officers canvassed the area and found the shopping bag that contained the weapon and drugs. Berdnik estimates the street value of the drugs seized is $3,000. 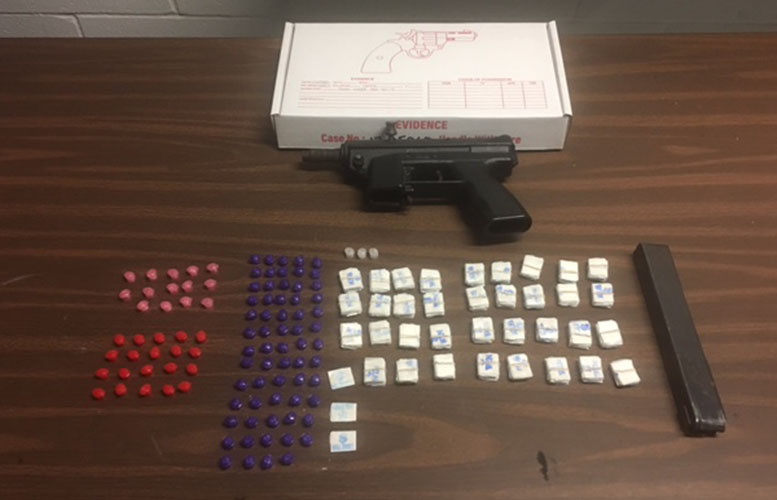 “I want to commend the officers from the 3rd shift of our Patrol Division, whose hard work and quick thinking, helped take a loaded weapon and narcotics off our street,” Berdnik said.